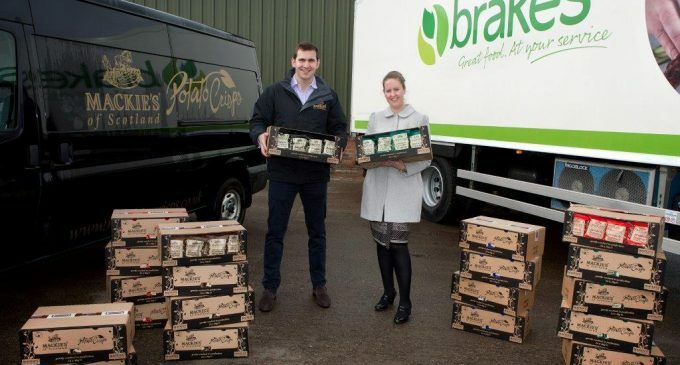 Scottish snack brand Mackie’s Crisps has launched its product range with Brakes Scotland. From 1st March, Brakes Scotland is adding six of Mackie’s impulse lines to its product selection. Comprising 40g packs suited for the foodservice market, the range includes traditional flavours such as Sea Salt and Mature Cheddar & Onion, and unique Scottish varieties, such as Haggis & Cracked Black Pepper and Flame-grilled Aberdeen Angus. Manufactured in Perthshire by family business Mackie’s at Taypack, will form part of Brakes’ expanding range of Scottish products as the company focuses on offering local produce to hotels, pubs, schools and care homes. Brakes Scotland also plans to unveil Mackie’s’ new range of popcorn when the brand introduces its impulse range in April. John McLintock, Operations Director for Brakes Scotland, added: ‘We continue to source the best Scottish products so our customers can buy quality, locally sourced lines which benefit from a rich heritage while supporting the Scottish economy.